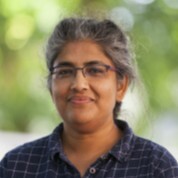 Dr Kamalini Lokuge leads the Humanitarian Research Program at the Research School of Population Health, Australian National University. She has held previous positions as a doctor and medical epidemiologist for international health organisations including Médecins Sans Frontières, the World Health Organisation, and the International Committee of the Red Cross, and is currently a Research Development Advisor to Médecins Sans Frontières-UK. She has worked in a range of humanitarian emergencies over the past two decades, including responding to Ebola Virus Disease outbreaks in several countries. She was awarded a Medal of the Order of Australia for her work in 2010.